For our road trip this month we decided to visit Frederick, Maryland since we were already going there to attend the Frederick Craft Spirit Festival, which was organized by the Maryland Distillers Guild. Although it was a cool day with intermittent drizzle for the outdoor event, we decided to make the 60-mile drive anyway and it turned out to be a great decision. The drive to Frederick is pretty straight- forward…G.W. Parkway to the Beltway to I-270 and you are there. Although the road spray was a constant battle there was less traffic than on a nice spring day and the farther north we went the rain began to diminish, as did the traffic. 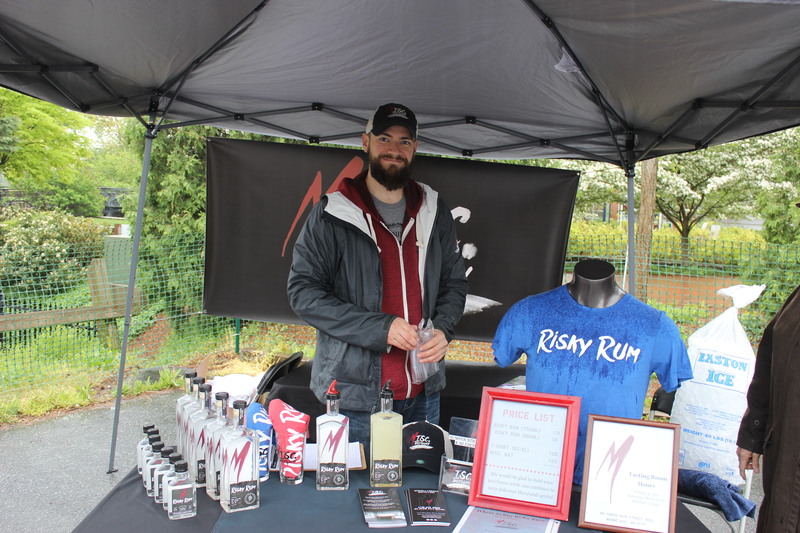 The festival itself was well run with samplings and the ability to purchase some very good local whiskeys and rums as well as gin, vodka and a variety of creative products. The event also included six seminars over two sessions that were very informative about the history and recent resurgence of the spirit industry in Maryland. The biggest reason we decided to attend this festival was because our new friends who own Tobacco Barn Distillery in St. Mary’s County were there and I wanted to try some of their products. Look for an article about this distillery in a future issue. Frederick is the gateway to the Blue Ridge Mountains heading west. 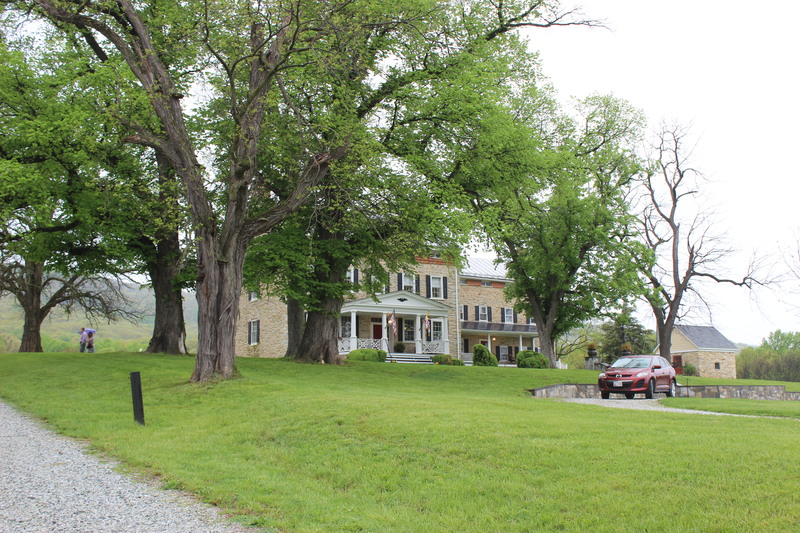 Located where the Catoctin Mountain meets the rolling hills of the Piedmont region, the Frederick area became a crossroads even before European explorers and traders arrived. Native American hunters followed the Monocacy River from the Susquehanna River watershed in Pennsylvania to the Potomac River watershed. Founded before 1730, Fredrick has survived revolutions and wars and today is a beautiful revitalized town. The single most dynamic feature that ties the heart of Frederick’s historic district together is Carroll Creek Park. The park began as a flood control project in the late 1970’s. After the Great Frederick Flood of 1976 left parts of Downtown Frederick under three feet of water, it became clear that something had to be done to remove Frederick from the 100-year flood plain. The creek was rerouted underground in 1993 and has eliminated any future flooding from the streets. 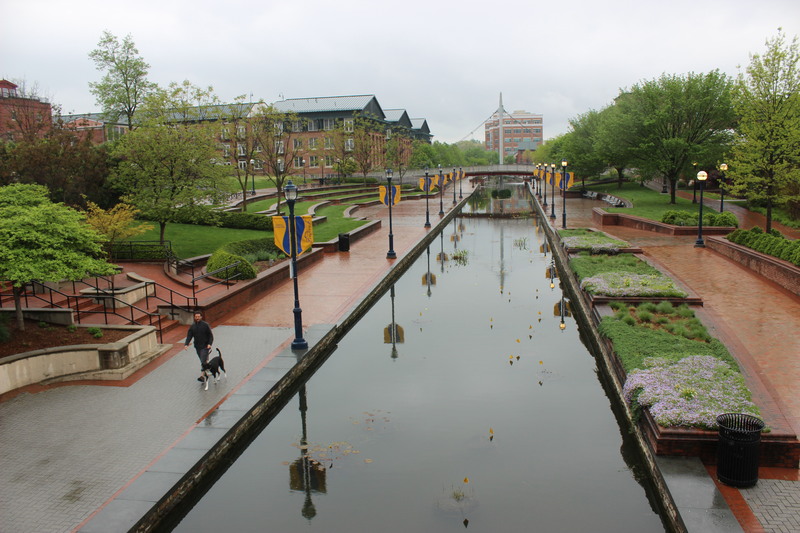 To create a canal walkway, a 40-foot wide channel waterway was created that runs 1.3 miles through the heart of town. This beautiful centerpiece has water features, brick pedestrian paths and bridges, and a 350-seat amphitheatre. Among the historic buildings and tree lined brick-paved sidewalks, visitors will find a bustling downtown. Frederick’s main streets are Market Street and the perpendicular Patrick Street. These are the prime areas for shopping and dining. East of downtown you can find Everedy Square and Shab Row, downtown Frederick’s largest cluster of specialty shops, eateries and services housed in beautifully restored 19th Century buildings. After our spirit sipping and walk about and visit to the fantastic Visitors Center, we decided to discover the Monocacy River and its three covered bridges. We took Route 15 north out of Frederick and headed to Utica to pick up Old Frederick road. The Utica Mills Covered Bridge was 1.5 miles down the road and to the left. The bridge was built around 1850 and is located on Utica Road over Fishing Creek. The bridge originally spanned the nearby Monocacy River but was washed away during a severe storm in 1889. Local citizens gathered the remains and reconstructed the 101-foot long (the longest of the three) Burr arch truss bridge at its present location. In a futile attempt to find the other two covered bridges we found ourselves in the town of Thurmont where we spotted the sign for Thurmont Bar & Grill. How can you go wrong when the penciled sign on the door says Cash Only and the street parking is 25 cents an hour or 10 cents for 15 minutes. I chose the better value! 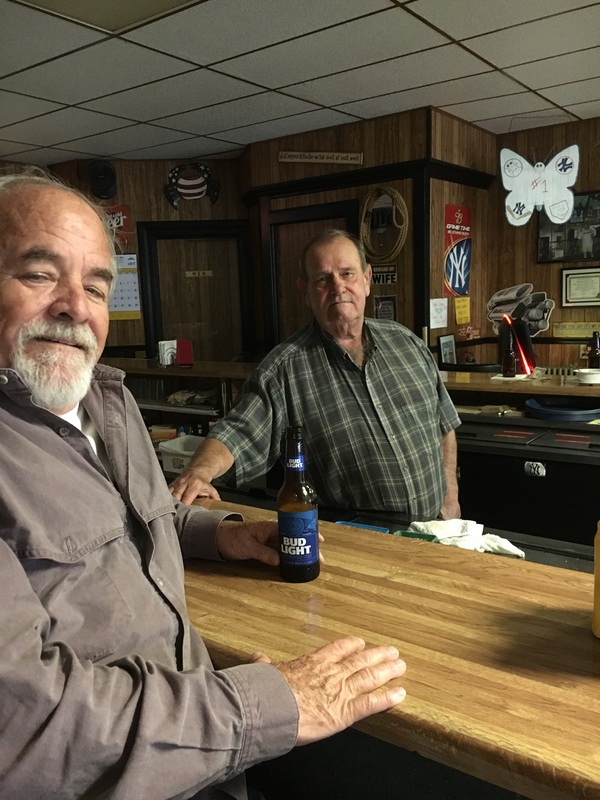 There were only three people in the bar while we were there – the proprietor Skip, or 411 as he is affectionately called by the locals since he is the “go to guy” for anything that you need to know in the community, and his two lady pals. This was like walking back in to the 60’s…and we added to that effect. “Come back to the five and dime Jimmy Dean, Jimmy Dean!” We had a blast meeting these fun people and will make a point to go back. We had already had lunch but are definitely going to go back for the home cooking that is offered here. They have pickled eggs and fried pickles and the fact that the ice cold Bud Light is only $2.75 is a plus as well. The light rain had pretty much stopped so I thought that we would drive over Catoctin Mountain. This was my only mistake of the trip. The roads are narrow and difficult to follow. After climbing to the top and realizing I was going the wrong way according to my compass, I decided to check phone GPS…no service. I backtracked and found another way back to Route 15. This wasn’t too bad because a few miles up the road was Springfield Manor Winery and Distillery. This place was beautiful. We took our time with a bottle of their Traminette, which was pretty good. Upon leaving I bought a bottle of their dark rum as I forgot to buy some at the festival. For our return trip I decided to avoid the interstates and take the road less traveled, so we headed southwest on 15 for Point of Rocks along the Potomac. From there we just followed the river along Route 28. Each stretch of the road has its own name but they are all Route 28 taking you through the towns of Tuscarora, Dickerson, Beallsville, and Seneca and eventually brings you to I-270 before the merge with 495. Even though the destinations were wonderful, the actual driving took us through a Frederick County of lush green pastures with horses grazing on the wet grass. Rolling farmland with folks out doing their mulching in the drizzle clad in rain gear. The drive along 28 was no less enjoyable. Not as much farmland but beautiful fields with large houses and the closer you get to I-270 these houses turned into mansions and then small hotels. The entire trip was only 175 miles (including getting lost) and well worth seeing where we really live. Treat yourself to a trek up north!